None of the characters on the papyrus fragments mentioned Abraham’s name or any of the events recorded in the book of Abraham. 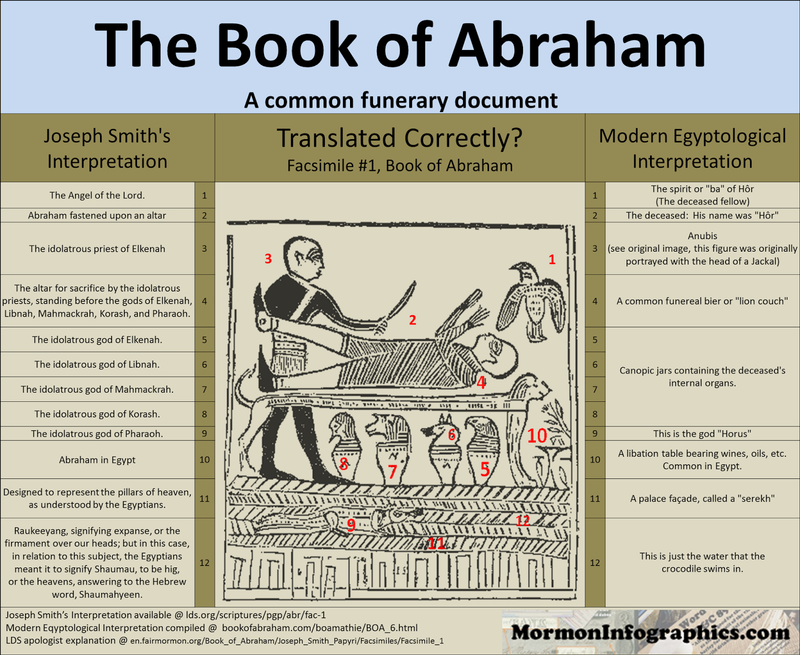 Mormon and non-Mormon Egyptologists agree that the characters on the fragments do not match the translation given in the book of Abraham, though there is not unanimity, even among non-Mormon scholars, about the proper interpretation of the vignettes on these fragments. Scholars have identified the papyrus fragments as parts of standard funerary texts that were deposited with mummified bodies. These fragments date to between the third century B.C.E. and the first century C.E., long after Abraham lived. The various alternative theories for a “missing BoA text” are discussed in detail in my book, and all are shown to be false. Parallel texts, standard papyrus document size (not whole rolls manufactured for commerce), measurements of rolling, a supposed (but false) reference to a lost text by the early scholar Seyffarth, and internal BoA remarks on the Facsimiles all indicate that the “Breathing Permit of Hor” (P JS I) is the source of the fictional account of Abraham. The fictional nature of the tale is blatant not only from the Egyptian evidence, but also from Mesopotamian evidence, incorporated within this study for the first time. 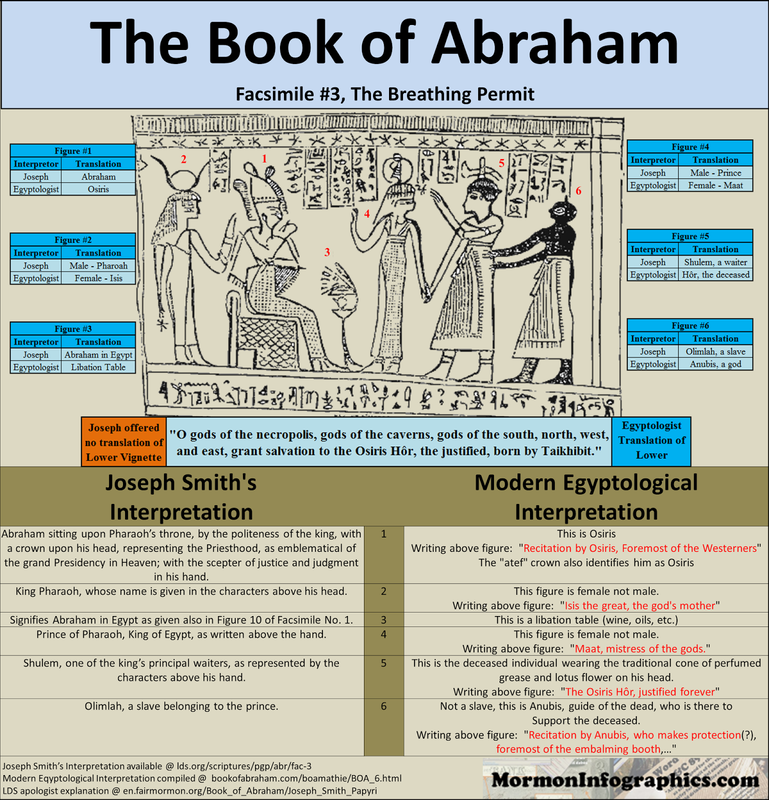 The fact that Joseph Smith got nothing right on his translation of the Book of Abraham is a big problem for the LDS church and their claim that Joseph Smith was a prophet. 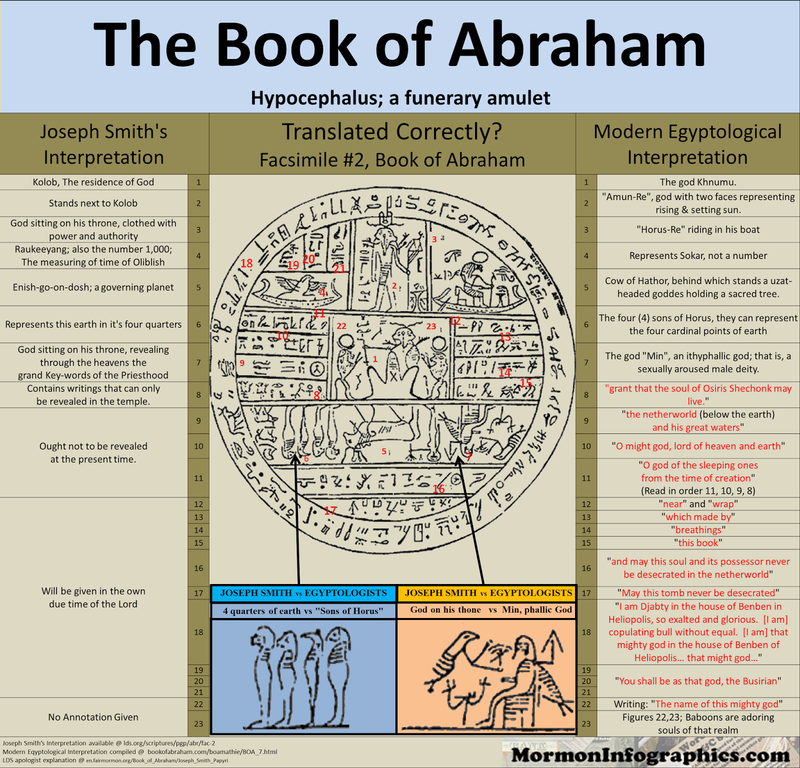 If Joseph Smith fraudulently “translated” the Book of Abraham, what does that say about his claims that he translated the Book of Mormon?